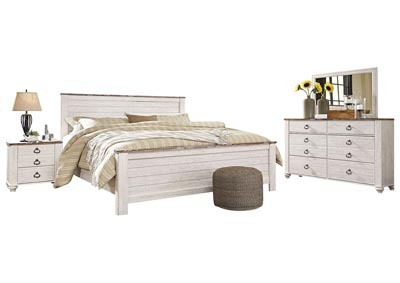 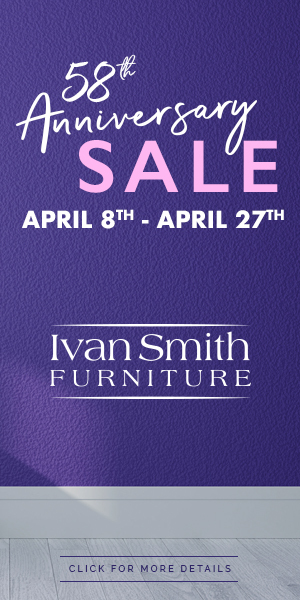 SAVE over $110 and let the kids enjoy the Willowton Collection. 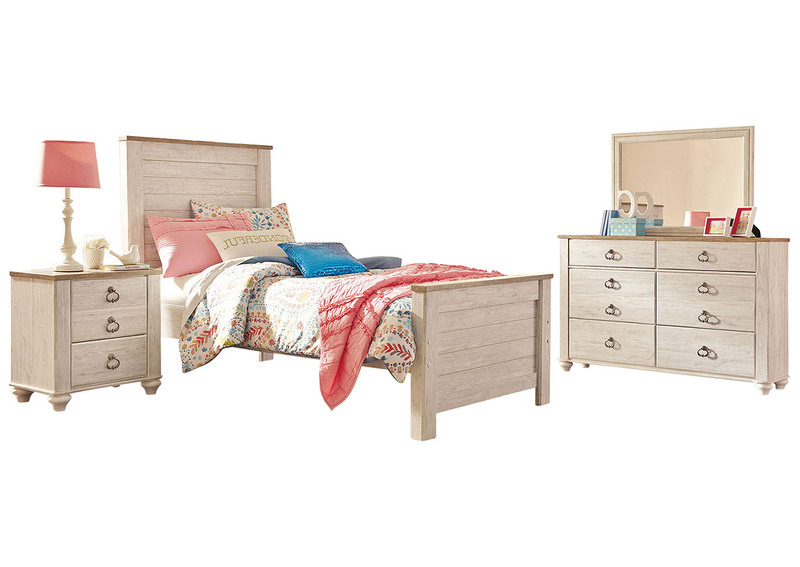 Twin bed, nightstand, dresser, and mirror. 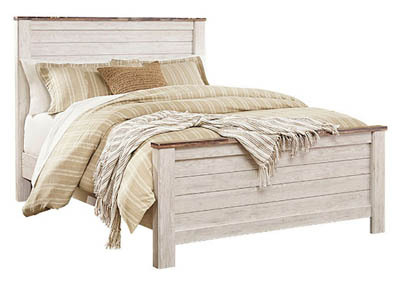 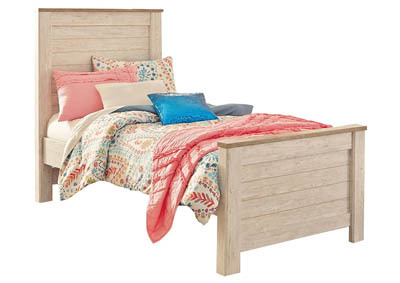 The Willowton twin panel bed is the ultimate statement piece for a coastal cottage or shabby chic inspired retreat. 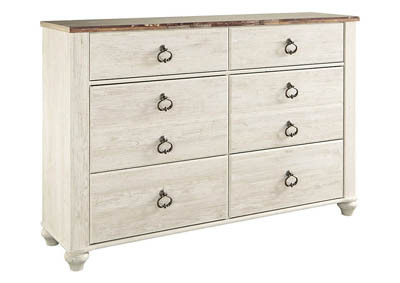 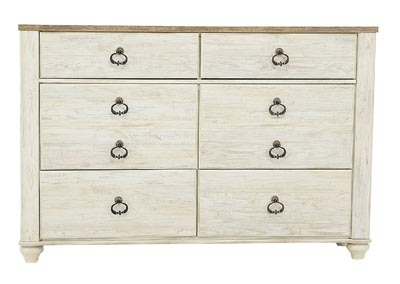 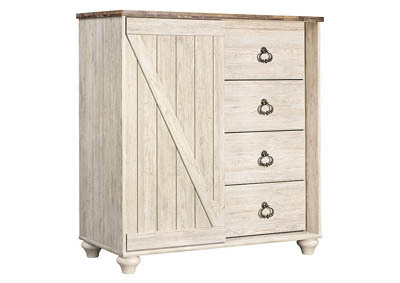 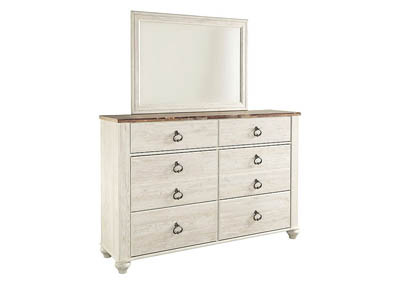 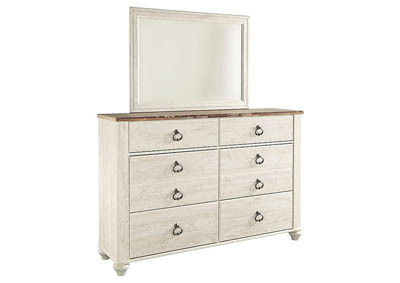 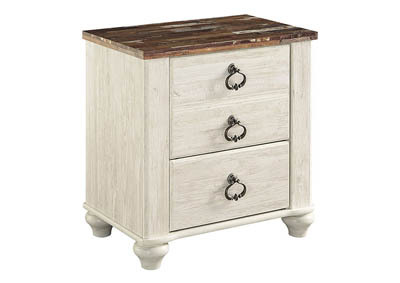 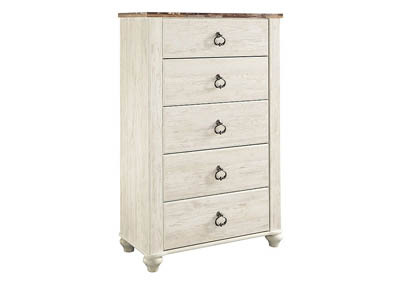 Whitewashed finish is wonderfully easy on the eyes. Plank-style tops on the headboard and footboard infuse a driftwoody look that has our minds drifting away to beachy-keen escapes.